2016-17 has been exciting for the Ironman racing organization. In a short span of about six months, two men—Lionel Sanders and Tim Don—broke Ironman records clocking in below the 8 hour mark. Lionel Sanders, a Candian triathlete, broke the previous Ironman record set by Marino Vanhoenacker in Austria in 2011. Then Sanders’ time of 7:44:29 beat Vanhoenacker’s 7:45:58. What’s the Fastest Ironman Triathlon Time? 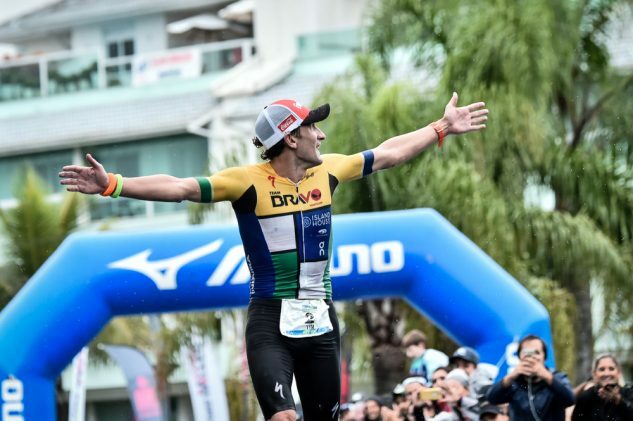 Tim Don’s 7:40:23 time in the Ironman South American Championship in Florianopolis, Brazil is a sheer testament that Ironman records seem to be getting easier to beat. His record time involved a 44:16 swim, a 4:06:56 bike ride, and a 2:44:46 marathon. 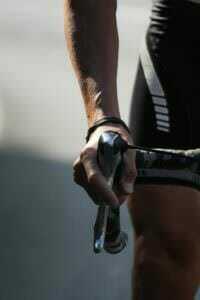 Germany’s Jan Frodeno also holds the overall record for fastest iron-distance race. His 7:35:39 at July’s Challenge Roth, which is a non-Ironman event, beat the previous record of 7:41:33 set by Andreas Raelert. The Ford Ironman World Championship in Kona Hawaii; the Frankfurter Sparkasse Ironman European Championship in Frankfurt, Germany; and the Quelle Challenge Roth in Roth, Germany all have the same distance. Most Ironman races allow you 17 hours to complete all three parts of the race. Usually, the race begins at 7 a.m. You are expected to finish the swim in 2 hours and 20 minutes; the bike ride done by 5:30 p.m.; and the marathon completed by midnight. No wonder it’s fast becoming the most popular series in the world. The 70.3 takes about 6 hours on average to finish: the swim takes 45 minutes, the bike ride about 3:00, and the run approximately 2:15. Of course, finish times really depend on your age group. How Can You Calculate Your Ironman Time? Calculating your possible Ironman timing is not as simple as adding up the numbers. The actual race promises never-before encountered challenges like possible dehydration, blisters, new levels of muscular fatigue, and nutrition struggles. These are, of course, just going to give you a ballpark estimate. What really happens on race day is always a long-awaited revelation. What’s a Good Time for Ironman Beginners? Since the Ironman is a grueling race, anything under the 17 hour cut off mark is an achievement. For those in the age group of 30-35, 13 hours for men and 14 hours for women are satisfactory. The same applies to the Ironman 70.3 series. For the age group of 35-39, a good time is six hours for men and seven for women. If you’re going to participate in your first-ever Ironman, we would advise you to enjoy the race and get the feel of things rather than worrying about time. Along with the right training, using triathlon gear that meets Ironman regulations and that fits you well are essential to achieving your best time. A good wetsuit lets you glide quickly through the water, aids buoyancy, and keeps you warm in cold water. At Just Wetsuits, we stock a range of the best in class wetsuits for rent or sale. 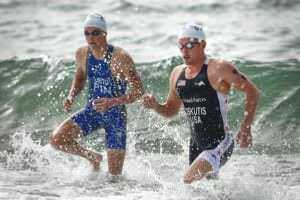 Take a look at our triathlon wetsuit collection and order your wetsuit today. This entry was posted in New Blog and tagged ironman races, ironman time, ironman triathlon.